The book that comes to mind is Man’s Search for Meaning, written by Viktor Frankl. I first read it in high school and have read it several times since. Absolutely harrowing account of the Holocaust, along with an incredibly powerful message of human dignity, and finding meaning in life no matter the circumstances, through right conduct and right action. Ascent Whey Protein and Ascent Casein Protein. I use this stuff almost everyday. Really like that Ascent’s products (even though its pricey) as they only have a few, clean ingredients. Great addition to my diet, especially on days where I may not have eaten meat or gotten a lot of protein from real food. Would love a sponsorship from Ascent…but I don’t know what they’d sponsor me for…haha. My favorite failure was not making the basketball team in high school (had an emergency appendectomy the night before 9th grade tryouts). I was devastated at the time. However, this failure lead me to eventually join the tennis team, where I was named captain my senior year and made it to state with my doubles partner, Tom, who turned into one of my closest friends. I’ve invested almost 9 years of my life towards my relationship with my wife Maggie. Definitely the best part of my life. I love the band Phish and have seen them in concert about 25 times. This one is easy - CrossFit. 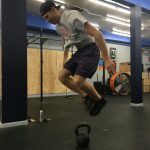 It has been about 2 years since I first stepped into a CrossFit gym, and things really took off for me as far as fitness is concerned since becoming a member at CE in September of 2017. 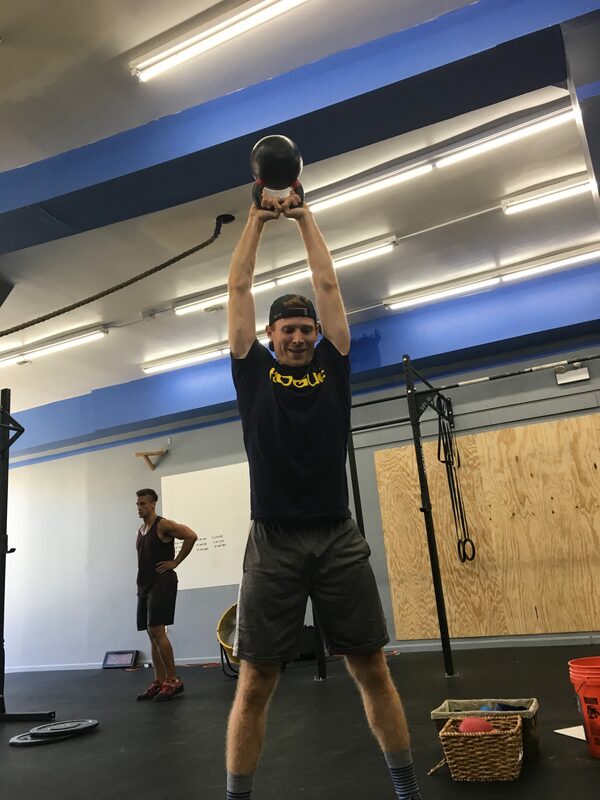 I love the community at CE, as well as how CrossFit incorporates nutrition and functional capacity into their overall methodology. Even though your formal education is about to end, never stop learning and taking on new challenges, even if outside your perceived area of expertise. Follow your passions as opposed to taking a job solely for the paycheck. I work as a school psychologist, primarily with students with disabilities. Not going to get into specific bad recommendations, but I will say that I’m a strong advocate for inclusionary practices in schools, as well as an advocate of the growth mindset when it comes to working with students with learning difficulties. Unfortunately, I have always been pretty good at saying “no” to various social invitations, etc,. If you spend time with me you probably realize quickly that I am an introvert. I am trying to work on saying “yes” more often. Depending on the situation, I typically will do one or more of the following: exercise, eat a healthy meal, get a good night’s sleep (at least 8 hours for me), 16-hour fast, clean up my apartment, or take a walk.If it is a big problem that is causing me to feel overwhelmed, I will write down short-term and long-term solutions to that problem and get working on it as soon as possible.